The 2019 Menteith Friendly Evening Boat league kicks off on Wed 1st May. NEW ENTRANTS WELCOME welcome. 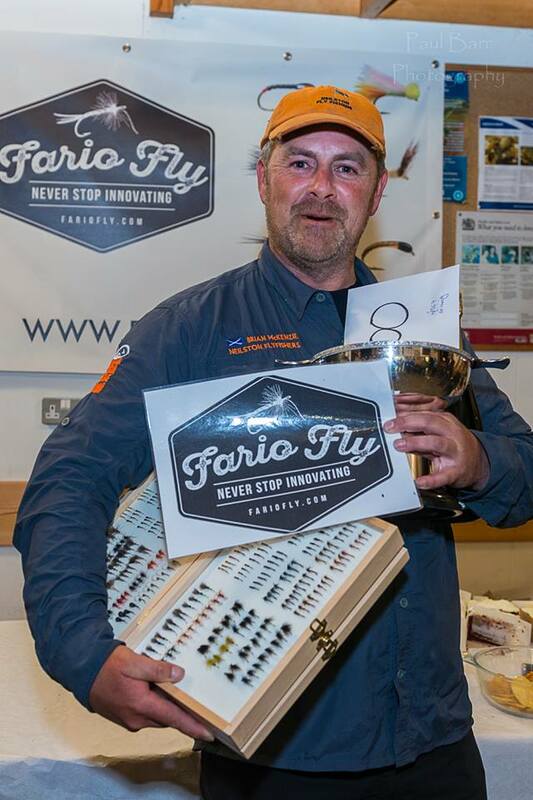 We are delighted that FArio flies have agreed to continue the sponsorship and the deal is similar to last years brilliant one – when Michael Low of Fario Flies gave away 300 flies as prizes valued at £450 (these will be selected by heat winners (20 FLIES AND A WEE BOX) from the Fario selection in the shop). Last year Michael also put into the mix a box of flies valued at £700 (the one Brian is holding in the picture below). Inglis. Alex Galloway finished 3rd. The total value of prizes dished out over the piece amounted to £2565 and a huge thank you to Michael Low of FARIO FLIES for his massive contribution of flies and boxes valued at £1300. Thanks also to Andy smith of Southside Decorators for supplying the whisky and also to Menteith Fisheries for their contribution.More discussion to follow but needless to say Brian has used Fario flies throughout the competition and tonight and said he will be in contact with Fario flies re future pattern development. Brian won £500 in cash and £700 pounds worth of Fario flies as well as giving £347 towards his chosen charity MND Scotland. Brian took the last heat to take the championship. He had 6 fish on his 5wt rod on boobies (3) and diawls (3) in the far corner of the cages on a floating line before moving to out in the middle and catching (5) on dries. In second place on the last heat was Andy Smith and Gil Farid with 7 fish. 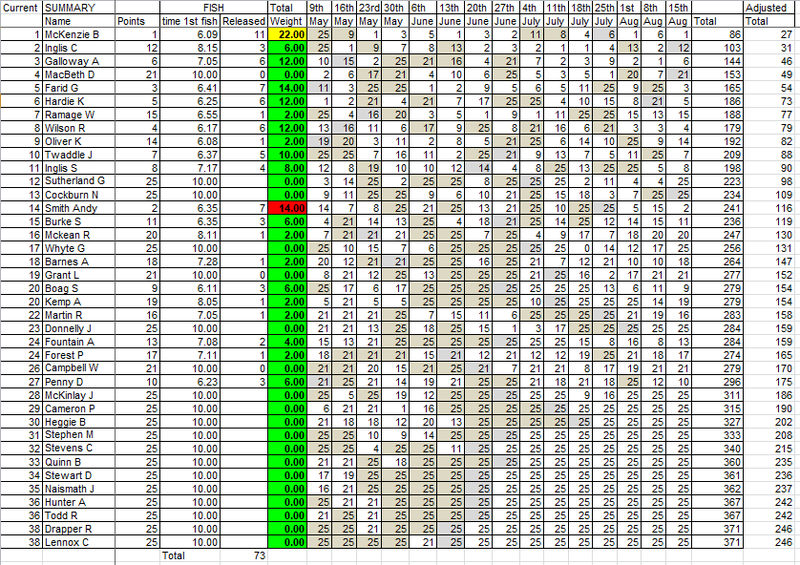 Full results below and more detail soon. Brian secret could not be summed up in a few words …I guess it is years of experience. He said next year he would like to see a greater spread in prize money. You will have a vote on a few options. Thanks to all for taking part and to Paul for the photos.